My name is James Love, from Knowledge Ecology International. I wanted to discuss the negotiations on new approaches to funding medical R&D. I will begin with the much delayed discussions about a WHO R&D treaty, which are supposed to resume in 2016. We have suggestions for some changes in the discussion, to move things forward. February 28, 2016. 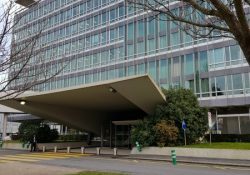 KEI Contribution To The United Nations Secretary-General’s High Level Panel On Access To Medicines Trade Agreements and The Supply Of Public Goods (link here). Report of consultations in Berlin and Geneva, forthcoming. 2005: Letter of 162 experts asking World Health Organization to evaluate a proposed treaty framework for medical research and development.